I started growing plants from the age of 5, created my first garden aged 10 and have won national awards for the design and build of 17th and 18th Century estates and designed show gardens for both display and national competition. 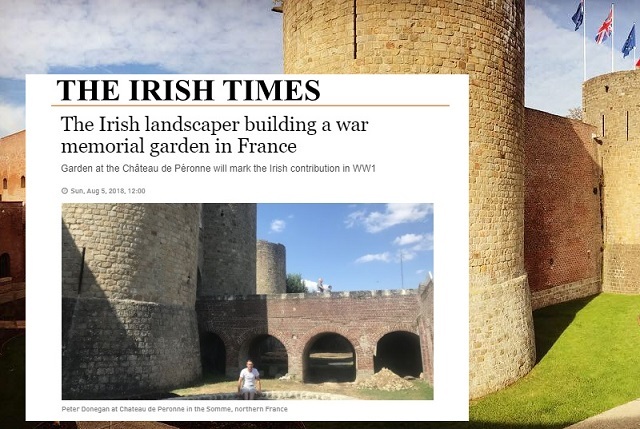 In 2018 I was selected to represent Ireland in the design and realisation of the Irish WW1 Centenary Peace Garden in the moat of Chateau de Péronne, a 13th Century castle in the Somme region of Northern France. I started Donegan Landscaping Dublin in 2001, aged 24. 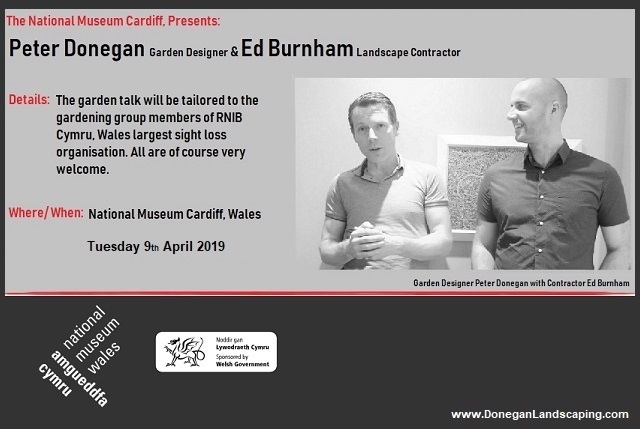 I am a member of The Garden Media Guild and have spoken at music festivals and one-off public gardening demonstrations, to private gardening classes and also given talks to Gardening / Horticultural societies and professional associations. In 2018 I featured on France3 TV and WeoTV (France) and was interviewed by LMFM, KCLR (Ireland) and BBC and US Radio. I also spoke at and hosted the garden talks at the inaugural Limerick Garden Festival and was the first Irish designer invited to speak at the Landscape Show, Battersea Park, London. 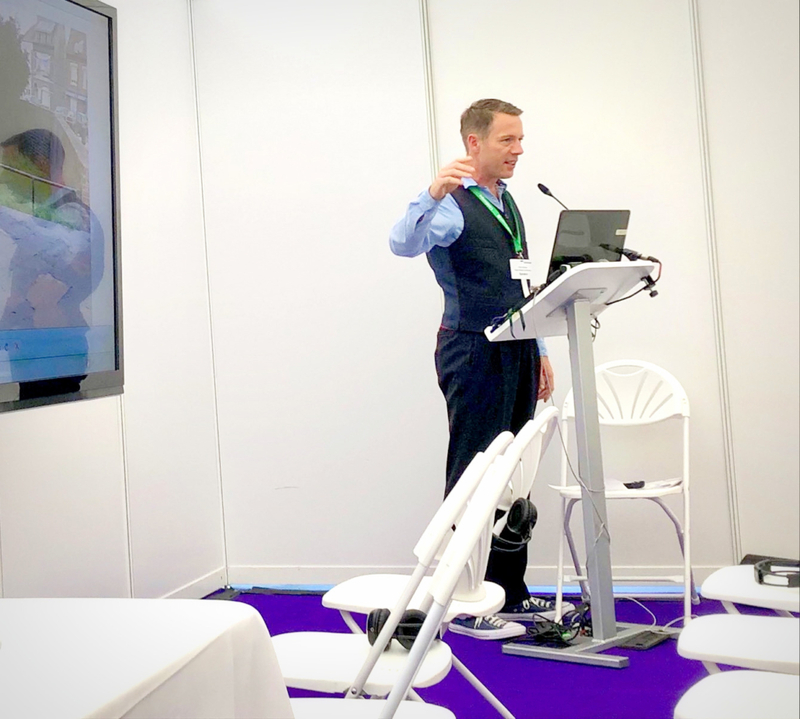 Above image: Speaking at The Landscape Show, London 2018. I am a former garden columnist and writer with The Farmers Journal and Self Build magazine and have also written freelance. I have given gardening demonstrations and featured on national tv and radio with gardens I have made under my own name and as part of televison shows in Ireland, France, UK and Australia. 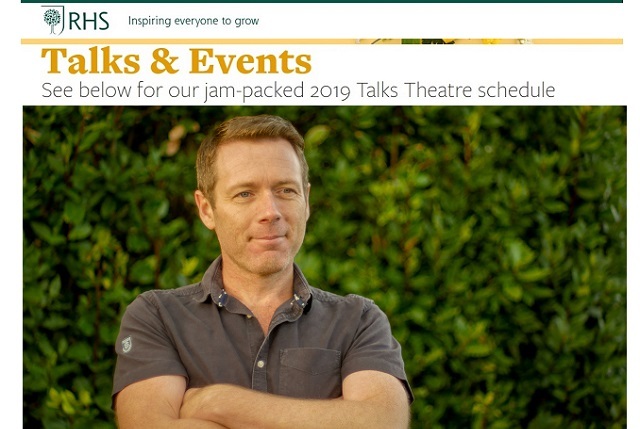 Bookings are now being taken for garden talks, hosting, demonstrations and speaking for 2019/ 2020.